I often teach classes on the form of the “hermit crab” essay, a term Suzanne Paola and I used in our textbook Tell It Slant. Hermit crab essays adopt already existing forms as the container for the writing at hand, such as the essay in the form of a “to-do” list, or a field guide, or a recipe. Hermit crabs are creatures born without their own shells to protect them; they need to find empty shells to inhabit (or sometimes not so empty; in the years since I’ve begun using the hermit crab as my metaphor, I’ve learned that they can be quite vicious, evicting the shell’s rightful inhabitant by force). When I teach the hermit crab essay class, we begin by brainstorming the many different forms that exist for us to plunder for our own purposes. Once we have such a list scribbled on the board, I ask the students to choose one form at random and see what kind of content that form suggests. This is the essential move: allowing form to dictate content. By doing so, we get out of our own way; we bypass what our intellectual minds have already determined as “our story” and instead become open and available to unexpected images, themes and memories. Also, following the dictates of form gives us creative nonfiction writers a chance to practice using our imaginations, filling in details, and playing with the content to see what kind of effects we can create. Thank you for your attempt to draw a tree. We appreciate your efforts, especially the way you sat patiently on the sidewalk, gazing at that tree for an hour before setting pen to paper, the many quick strokes of charcoal executed with enthusiasm. But your drawing looks nothing like a tree. In fact, the smudges look like nothing at all, and your own pleasure and pride in said drawing are not enough to redeem it. We are pleased to offer you remedial training in the arts, but we cannot accept your “drawing” for display. Well, once one gets on the subject of rejection, you can imagine how the material simply flows through one’s fingertips. And I’m not really thinking about the content at all; I’m engaged in honing the voice of the rejection note, creating a persona on the page that can “speak back” to me, in a humorous way, all that had gone unspoken in real life. I’m having an immensely good time. Thank you for your application to be a girlfriend to one of the star players on the championship basketball team. As you can imagine, we have received hundreds of similar requests and so cannot possibly respond personally to every one. We regret to inform you that you have not been chosen for one of the coveted positions, but we do invite you to continue hanging around the lockers, acting as if you belong there. This selfless act serves the team members as they practice the art of ignoring lovesick girls. P.S: Though your brother is one of the star players, we could not take this familial relationship into account. Sorry to say no! Please do try out for one of the rebound girlfriend positions in the future. So I’m going along chronologically, calling up (and enhancing, exaggerating, manipulating) all the slights and hurts of an ordinary life. I’m having a marvelous time, because this voice is so detached it can say whatever it wants. I’m submitting to the voice of the essay, allowing the form to lead me where it will go. Thank you for the short time you spent with us. We understand that you have decided to terminate your stay, a decision that seems completely reasonable given the circumstances. After all, who knew that the semester you decided to come to UC Berkeley would be so tumultuous: that unsavory business with Jim Jones and his bay area followers, the mass suicide, an event that left us all reeling. After all, who among us has not mistakenly followed the wrong person, come close to swallowing poison? And then Harvey Milk was shot. A blast reverberating across the bay. It truly did feel like the world was falling apart, we know that. We understand how you took refuge in the music of the Grateful Dead, dancing until you felt yourself leave your body behind, caught up in their brand of enlightenment. But you understand that’s only an illusion, right? And given that you were a drama major, struggling on a campus well known for histrionics and unrest: well, it’s only understandable that you’d need some time to “find yourself.” You’re really too young to be in such a city on your own. When you had your exit interview with the Dean of Students, you were completely inarticulate about your reasons for leaving, perhaps because you really have no idea. You know there is a boy you might love, living in Santa Cruz. You fed him peanuts at a Dead Show. You imagine playing house with him, growing up there in the shadows of large trees. But of course you couldn’t say that to the Dean, as he swiveled in his chair, so official in his gray suit. He clasped his hands on the oak desk and waited for you to explain yourself. His office looked out on the quad where you’d heard the Talking Heads playing just a week earlier. And just beyond that, the dorm where the gentleman you know as “pink cloud” provided you with LSD in order to experience more fully the secrets the Dead whispered in your ear. You told the Dean none of this, simply shrugged your shoulders and began to cry. At which point the Dean cleared his throat and wished you luck. We regret to inform you that it will take quite a while before you grow up, and it will take some cataclysmic events of your own before you really begin to find the role that suits you. In any case, we wish you the best in all your future educational endeavors. Thank you for providing a host home for us for the few weeks we stayed in residence. It was lovely but, in the end, didn’t quite work for us. While we tried to be unobtrusive in our exit, the narrowness of your fallopian tubes required some damage. Sorry about that. You were too young to have children anyway, you know that, right? And you know it wasn’t your fault, not really…Still, we enjoyed our brief stay in your body and wish you the best of luck in conceiving children in the future. So, as you can tell, the essay takes a turn there, or maybe “turn” is not the right word; it slows down and peers below the surface. It tells me this is where we were going all along. I’ve written about this material so many times in the past, that I didn’t feel I would ever return to it. But the essay demanded it, and who am I to question the ferocity of an essay in progress? And this time I feel a kind of transformation happening, a new perspective, a moment of forgiveness. It’s odd to feel this in one’s writing, to feel so concretely that the essay is, indeed, in charge: speaking to you, telling you things you didn’t already know. And this happened solely because of the form. The form of the rejection note—though it began as a technical exercise—created an entirely new universe in which one’s personal narrative does not really belong to you. And because it doesn’t belong to you, it can create meanings—perhaps better meanings—than any you might have thought up on your own. You do not yet understand the delicate emotional dynamic that rules a divorced father’s relationship with his children. The children will always, always, come first, trumping any needs you, yourself, may have at the time. You will understand this in a few years, but for now you still require some apprenticeship training. Though you have sacrificed time and energy to support this family, it’s become clear that your desire to stepmother stems from some deep-seated wound in yourself, a wound you are trying to heal by using these children. Children are intuitive, though they may not understand what they intuit. They have enough to deal with–an absent mother, a frazzled father–they don’t need your traumas entering the mix. Seeing the movie “Stepmom” is not an actual tutorial on step-parenting. On Mother’s Day, you should not expect flowers, gifts, or a thank you. You are not their mother. As we said, funding is the main criteria that led to our rejection of your offer. We hope this feedback is helpful, and we wish you the best in your future parenting endeavors. Through several revisions of the draft—which included nearly twice as many letters as represented in the final version (as I said, once you get on the subject of rejection, you can really go on and on and on)—I honed the themes I saw rising in the essay through, or perhaps in spite of, the harsh voice of the rejection note. There was the ostensible theme of children or lack thereof, but more insistently there was the theme of how we find the roles one is suited to play in one’s life. So I kept the letters that had echoes of that theme and deleted the rest. I highlighted the theme through key words and phrases to create a fragmented piece that felt coherent and satisfying. Throughout the process—both drafting and revising—I did not feel the emotional weight of any of the material. In fact, I was laughing most of the time, inordinately pleased with my cleverness. Humor naturally arises when we couple a detached voice with intimate stories, and since audiences are also usually laughing throughout the essay, the weight of that turn in the middle almost has more impact than if I had started with this material as the destination. And we get through it quickly. It’s one moment in a series of moments that accumulate to a greater end. So, the essay gets published in The Sun, and I receive lots of responses, more than I’ve ever received for any essay in my life. I’ve written about a lot of personal material over the years, but this essay seems to have struck a deeper chord. And I think people are touched by “We Regret to Inform You” not because of the revelation of my personal “rejections,” but because I’ve used a form that invites readers into both my experience and their own. By being ensconced in a more objective form, the essay provides what I’ll call a “shared space” between reader and writer. We often wonder how to make our personal stories universal; well, perhaps it’s not a question of making our stories do anything. Maybe, instead, we simply need to provide common ground in the form of an object we use together. We sit down at the same table and the stories pass between us. 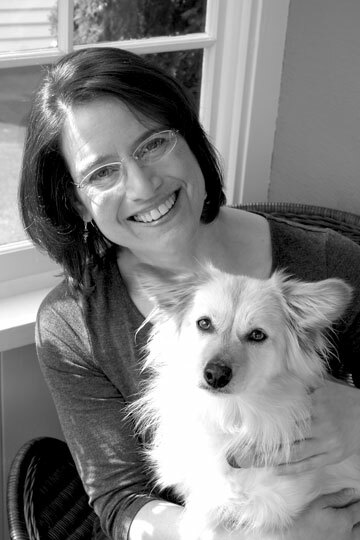 Brenda Miller directs the MFA in Creative Writing and the MA in English Studies at Western Washington University. She is the author of four essay collections, including Listening Against the Stone, Blessing of the Animals, and Season of the Body. She also co-authored Tell It Slant: Creating, Refining and Publishing Creative Nonfiction and The Pen and The Bell: Mindful Writing in a Busy World. Her work has received six Pushcart Prizes. Miller’s Brevity craft essay is adapted from an August 2014 craft talk she presented at the Rainier Writing Workshop. Brenda, this was so incredibly helpful to my work right NOW. Great essay, and a really good way to get myself out of the way and let the essay drift on without me for a while. Many thanks. Brenda, could you share more types of “forms” that typically are brainstormed in your class lists? Thanks so much Brneda for this, you’re a fantastic writer and teacher. I’ve been working with your “Tell It Slant” book and have loved the experience. Really, really helpful; thank you. Brenda, I want to design a whole course around this idea for reluctant writers. It’s brilliant. I just bought your book.